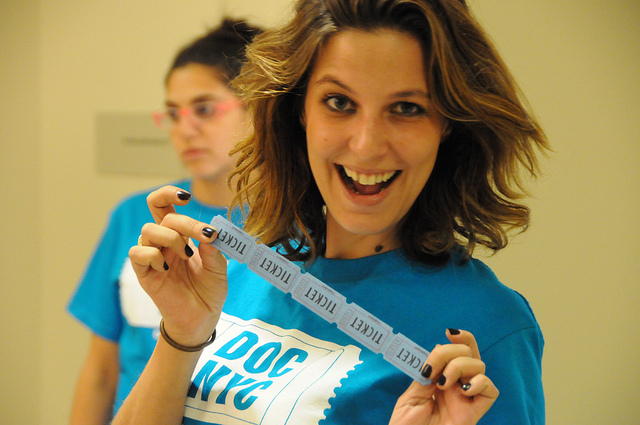 The Tenth Annual DOC NYC, America’s largest documentary film festival, is looking for enthusiastic cinephiles to join our ever-growing team of volunteers! DOC NYC features over 300 films and events, including filmmaking panels, special guests and live conversations with leading industry figures. The festival takes place November 7 – 14 and we are looking for rock star volunteers to join us by assisting with theater operations, street teams and much more! Registration is closed for DOC NYC. Please check back next fall for more information on how to join our team.